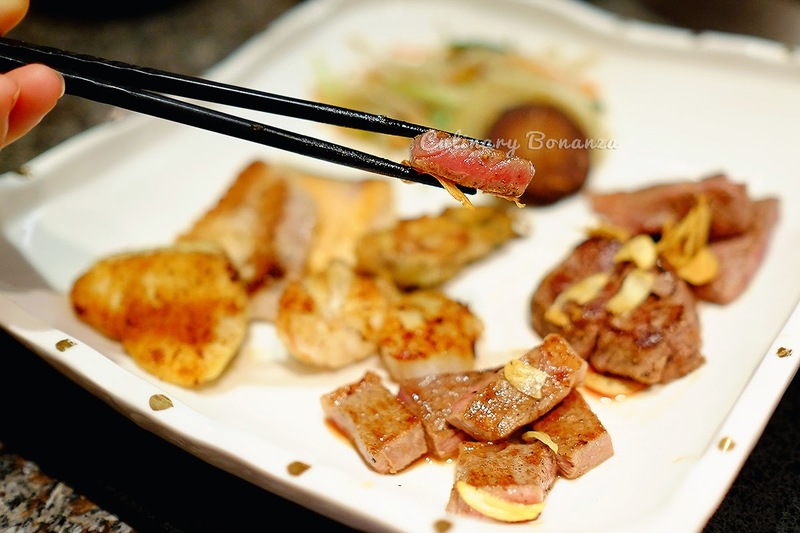 Treat Yourself Today: Have an All You Can Eat Teppanyaki for Lunch! Hello! 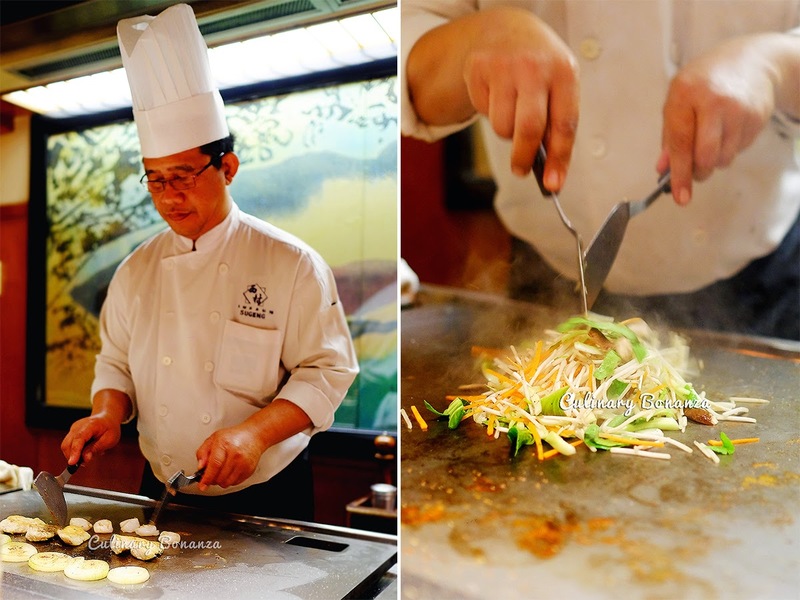 Can I take you to an all-you-can-eat Teppanyaki at Shangri-la Hotel for lunch today? Sometimes out of the blue, I would fancy having some Teppanyaki for lunch, but fear that it'll take up too much time that I won't make it back to the office in time? (well, I work with my brother indeed, but I still have to be professional and stick with the rules we made). Fret no more, because now there's a quickie, Teppanyaki lunch set menu, that is still fancy (it's located at a 5 star hotel), yet still a good value for money. 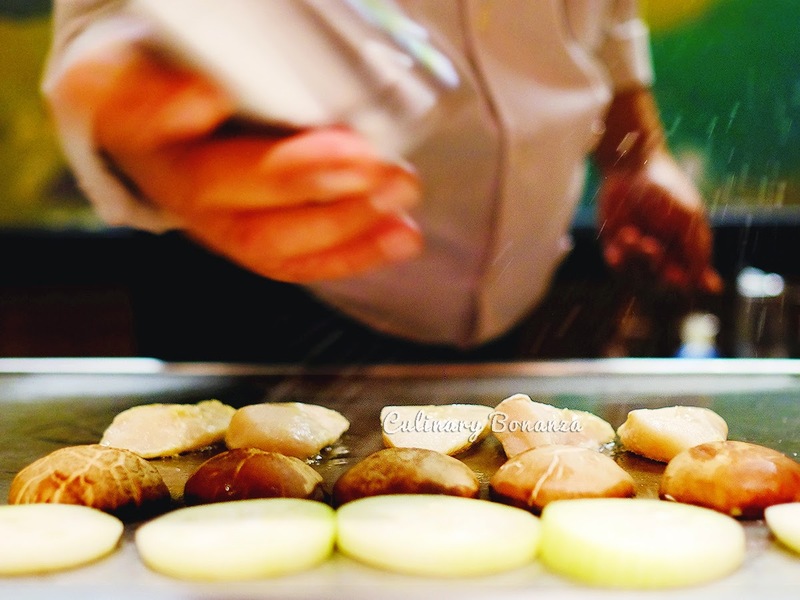 Starting Wednesday 12 November 2014, Nishimura at Shangri-la Hotel, Jakarta offers a really good Teppanyaki promotion. It's basically a set menu Teppanyaki, we could choose either the normal or the Wagyu Teppan (for different price, or course). 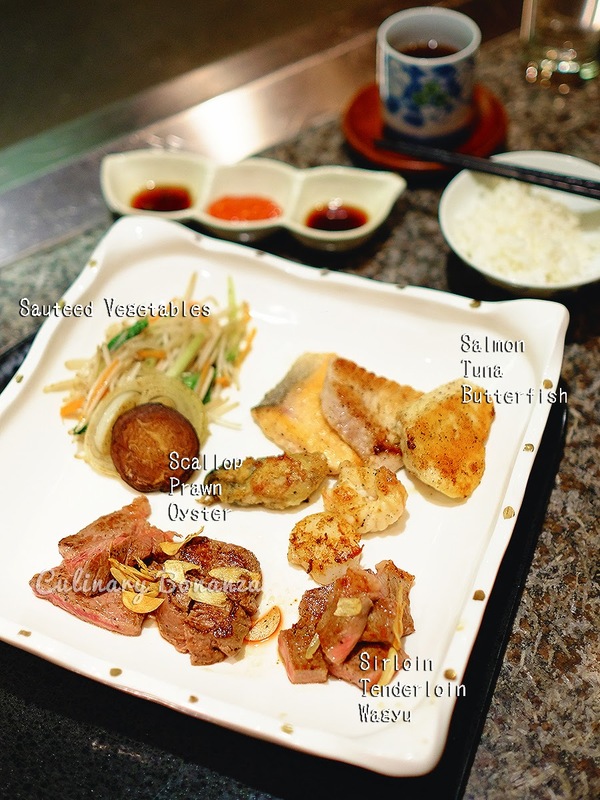 What's going to be different is that unlike dinner, the Teppan chef will cook your meal pretty swiftly, because lunch time for most of us is only 1 to 2 hours long. 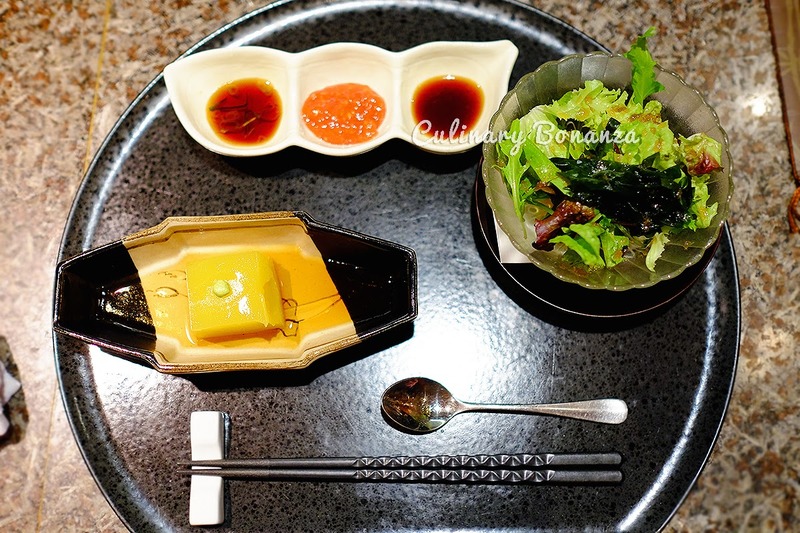 Appetizer (all you can eat) - Kabocha Tofu served with shoyu. I never had this one elsewhere, pretty interesting how the 'tofu' tasted like jelly. Salad (all you can eat) - served with sweet & sour Japanese dressing. I always love the salad served at Nishimura, because it's so fresh and the dressing is just served in right amount, that covers every inch of the leaves. Couldn't enjoy eating salad any more than this. 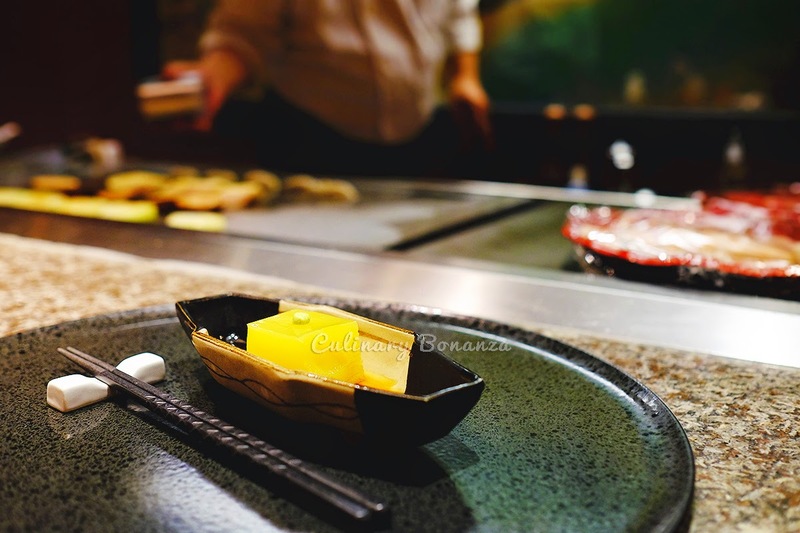 Teppanyaki - this is the only element of the set menu that is not all you can eat (haha, i know, bummer, but trust me, by the time the entire teppanyaki is finished, there's still rice waiting afterwards!). 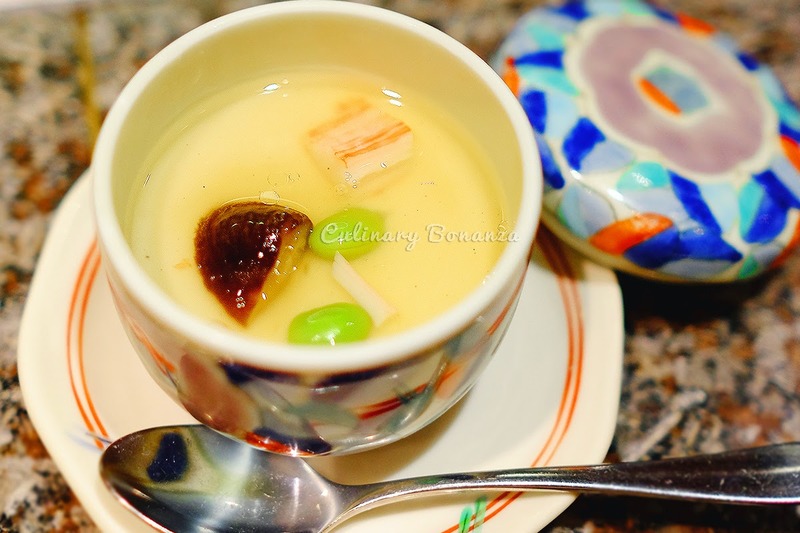 Soup (all you can eat) - miso soup with soft tofu and wakame. 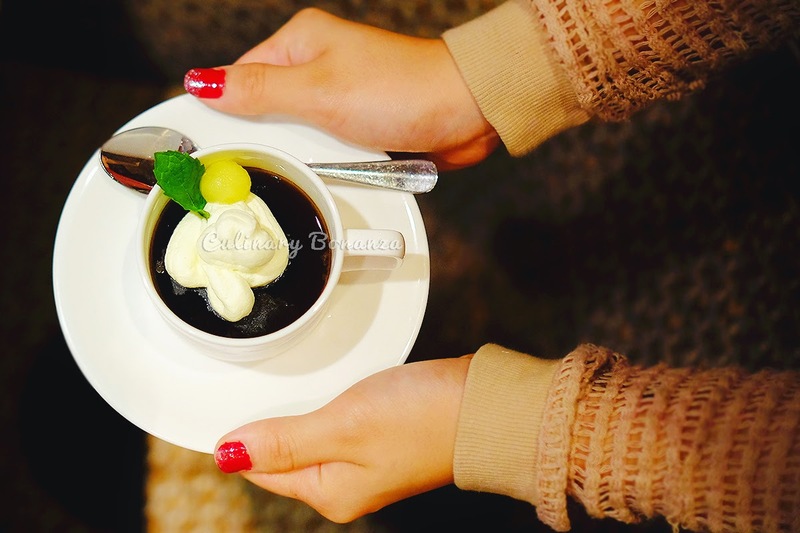 Dessert - Coffee Jelly, it's black coffee jelly type (not the milky coffee). It's not too sweet, and cleanses and chills the palate after all the grilled food.